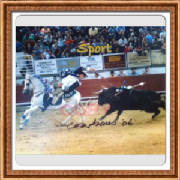 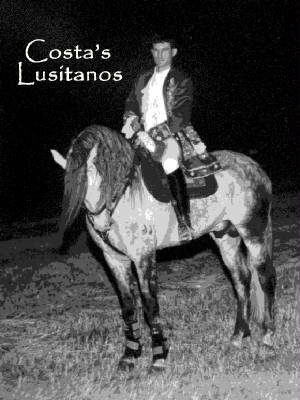 Costas Lusitanos is owned and operated by Eddie Costa. 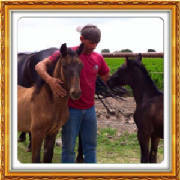 From a very early age horses have been apart of Eddies life. 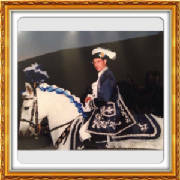 After high school he decided to continue with the tradition his father brought from the Azores. 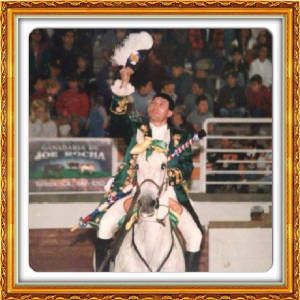 He became a professional Portuguese bullfighter (bloodless) for 15years and was the 2nd professional Portuguese bullfighter in California. 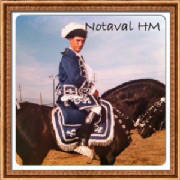 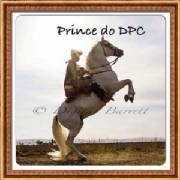 His passion and love for horses comes from his father. 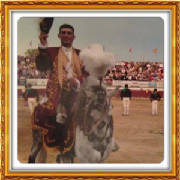 When his father and mother migrated from Terceira, Azores he brought along and taught the tradition of bullfighting to California. 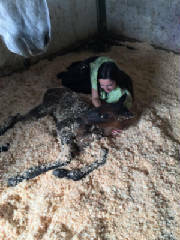 Unfortunately, his father passed from a tragic accident doing what he loved. 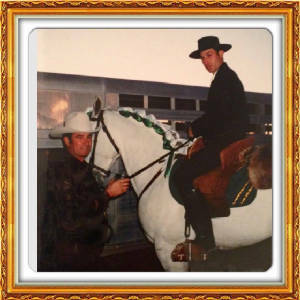 He would have been extremely proud of Eddie for everything he has accomplished. 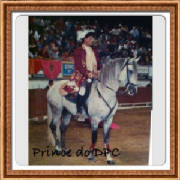 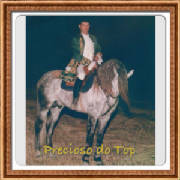 After a few years, Eddie then started importing lusitanos from top breeders in Brasil. 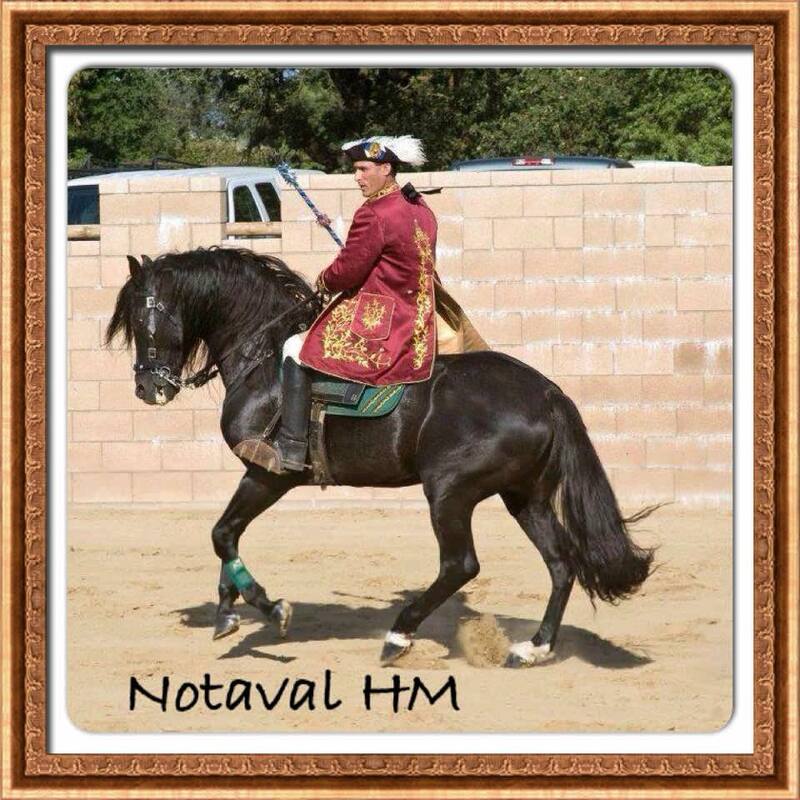 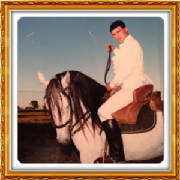 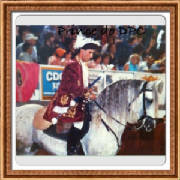 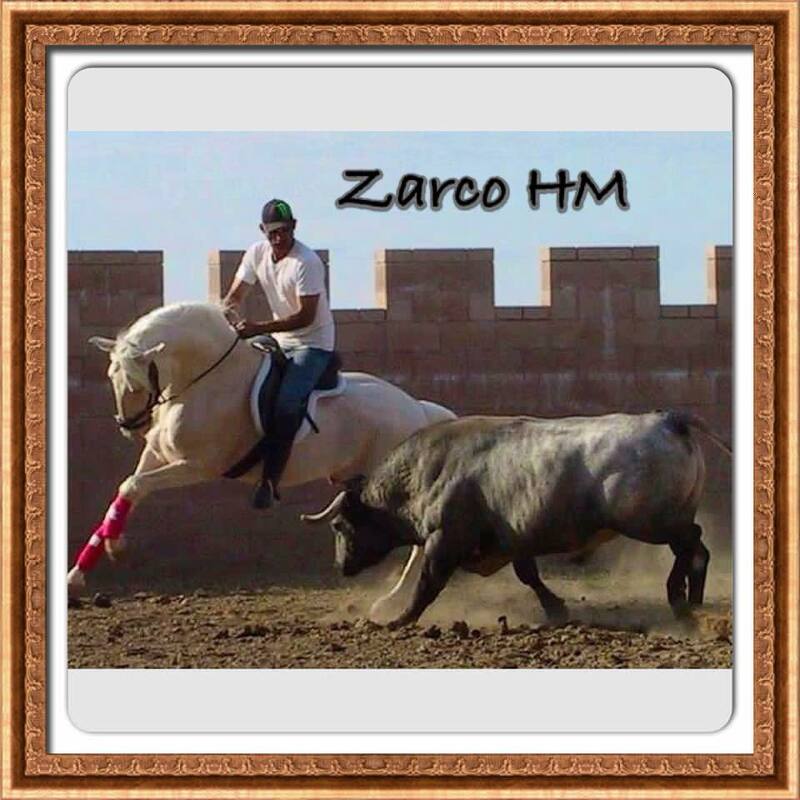 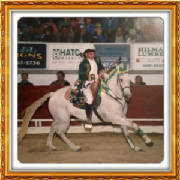 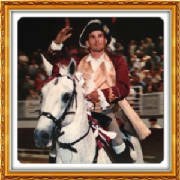 For the past 25+ years, Eddie has bred and trained some remarkable lusitanos. 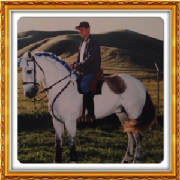 He dedicates his life to his horses. 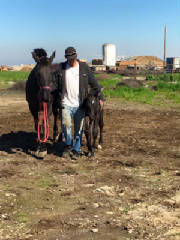 Eddie is not just a breeder; He built his barn, fences for the pasture, and arena with his own two hands from the ground up. 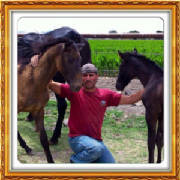 He is the trainer, cleaner, he shows, and welds everything on the farm, along with help from his girlfriend Stephanie they market, video tape and do all photography; he is an incredible handy man and very hard worker. 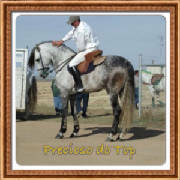 With him doing all the work himself he takes extreme pride in every horse on the farm. 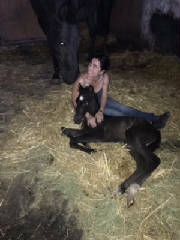 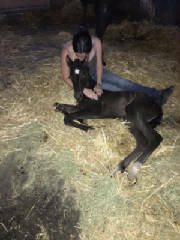 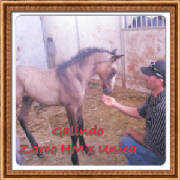 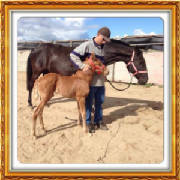 Each foal is handled daily to insure quality temperament. 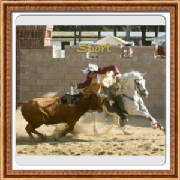 We do not rush into training, but allow them time to develop physically and mentally. 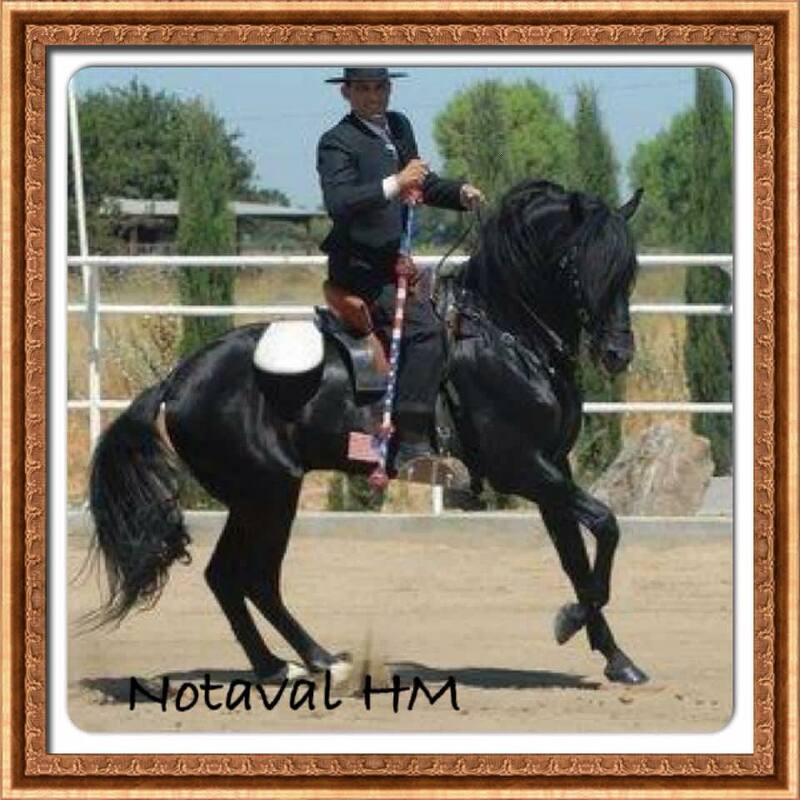 They are more eager to learn, less prone to physical injury, and have had the most positive training possible. 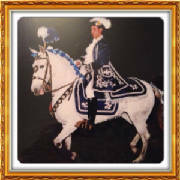 Edwardo has been practicing the Portuguese style of mounted bloodless bullfighting for over 15years on his magnificent Lusitano horses. 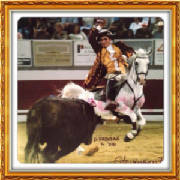 Cavaleiros like Eddie are mounted bullfighters in traditional Portuguese bullfighting. 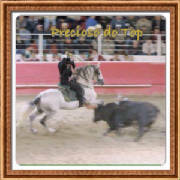 The Portuguese corrida de touros does not follow the theme of the Spanish bullfighting, they only stick bandarihas on the bull's back using Velcro. 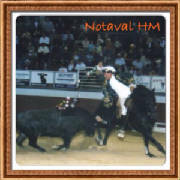 then they leave the ring. 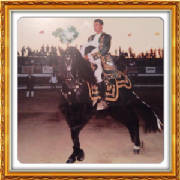 Cavaleiros are the stars of the Portuguese bullfight as opposed to Spain, where the matadors are the prominent bullfighter. 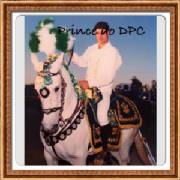 The costume of the cavaleiros is a flamboyant one, reminiscent of the clothing of the 18th century aristocrats. 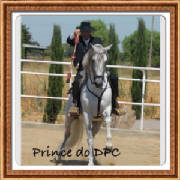 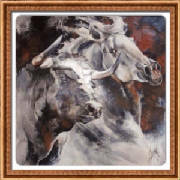 Since bullfighting is seen mainly as an equestrian event in Portugal, cavaleiros have developed their work into an art.